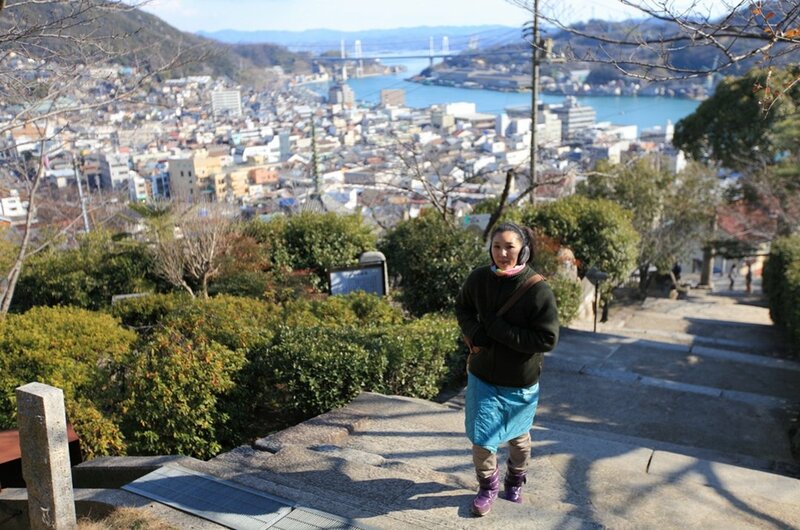 On the inland sea coast, clinging to the steep hillsides is Onomichi, an important port since, medieval times in Japan and a city that leaves you overawed on private guided tours. It is here that you find such an unusually large quantity of temples that one of its main sightseeing tours is the Temple Walk. Another huge attraction to this wonderful city is the 80 km bicycle route. On a bicycle tour, this route crosses over seven bridges which connect six islands to reach the Island of Shikoku. For Japanese film buffs, there will be areas of Onomichi that may seem familiar. This city has been the set of many movies with the most famous being Tokyo Story made in 1953. This city has also been a draw to many writers who immerse themselves in the nostalgic atmosphere which is preserved here. 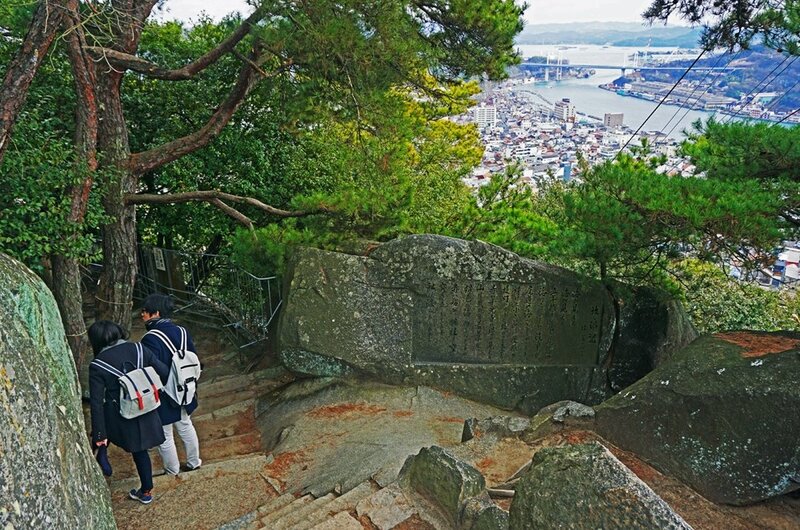 Visit Senko-ji Park on a sightseeing tour and you will see fantastic views from where it is situated on the top of Mount Senko-ji overlooking the city on Onomichi. 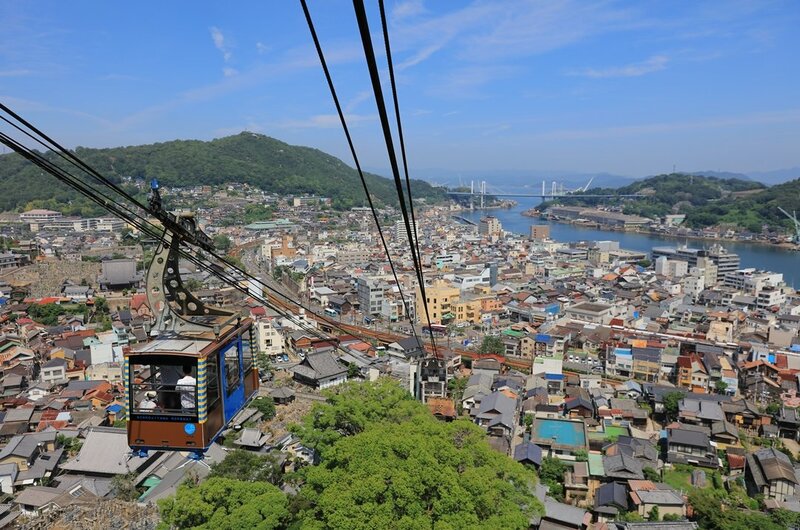 It starts when you travel to the top by ropeway car and then when you arrive, there are such places to see that include the famous Senko-ji Temple and the Onomichi City Museum of Art. The cuisine found in Onomichi is another excellent reason to visit this city. Due to its location and being known as a fishing harbour, there are delicious local fish dishes that are a delicacy found nowhere else in the globe. 1 Take a sightseeing tour by ropeway car to Senko-ji Park which is found on top of Mount Senko-ji. It is from this park that you can see the most spectacular views from the observation deck of mountain vistas and the city below. The park is beautifully landscaped and has stunning cherry blossoms and other flowers to admire as you stroll around. Also found in the park is the Senko-ji Temple and Onomichi Museum of Art. 2 The spectacular Kosan-ji Temple is a must see place on a guided tour. 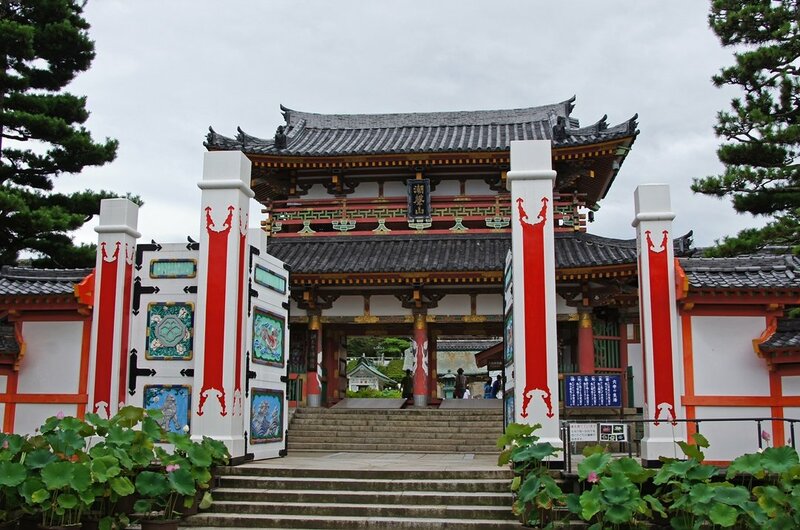 It is located along the Shimanami Kaido and the grounds consist of 15 temples, towers and the Kosan-ji museum. A businessman from Osaka named Kozo Kosanji became a monk after his mother died and since 1935 has spent his life creating this temple. The buildings are very symmetrical and modeled on old architecture from all areas of Japan. 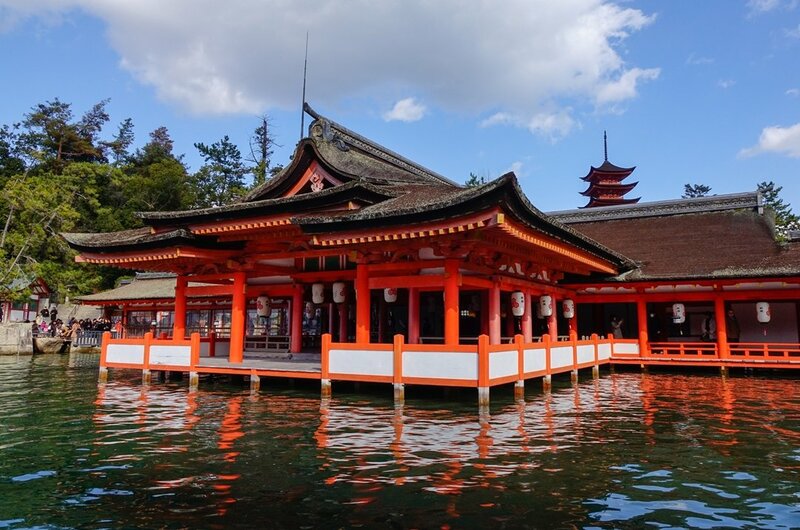 3 It is recommended to visit, on a sightseeing tour, the Itsukushima Shrine which is not far from Onomichi. This is a floating shrine and Shinto holy site on the sea that dates back more than 1400 years. There is an iconic red torii (shrine gate) that looks like it is floating on the water surface that guards the shrine. The complex has a number of buildings which are connected by boardwalks including a prayer hall. 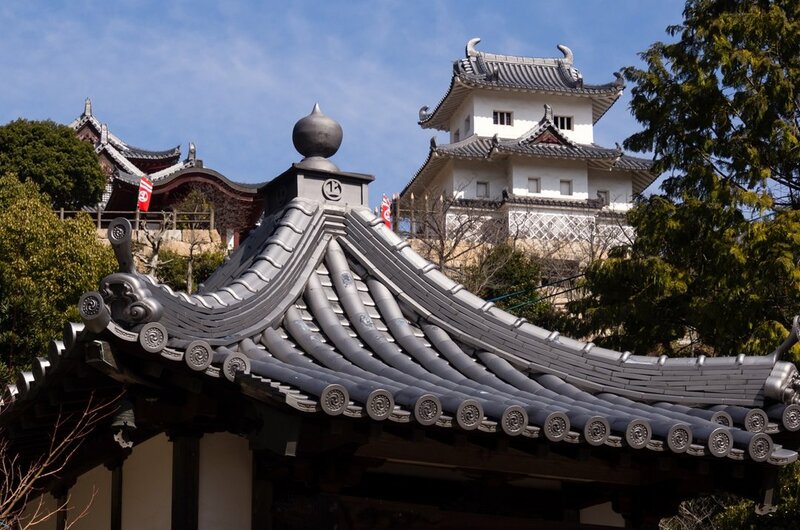 4 Go on a guided tour of the Innoshima Suigun Castle which is now a historical museum. The castle is a rare building in Japan and is reason alone to visit as it is a very beautiful building with wonderful architecture and features. The Museum displays artifacts which belonged to the Murakami Suigun pirate organization from the Muromachi Period to the Sengoku Period. It includes such things as ancient documents and armour from that era. 5 Probably one of the best Temples with amazing views is the Senko-ji Temple located on Mt Senko-ji and built in 806. On a guided tour see the large rock called the Tama no Iwa which has a hole in it with a gem that illuminates at night or so legend says. The gem is a copy these days. Inside the main hall is a ‘hidden’ Buddhist image which is displayed once every 33 years and its next appearance is in 2046. 6 There is an exceptional private cycling tour which can be done from Onomichi. It is along the Shimanami Kaido, a sixty kilometer in length toll road that connects Honshu, main island of Japan, to the Shikoku island. To get from one island to the other, you will pass over six smaller islands that are in the Seto Inland Sea. This was opened in 1999 and therefore the route is attractive and modern with great views. 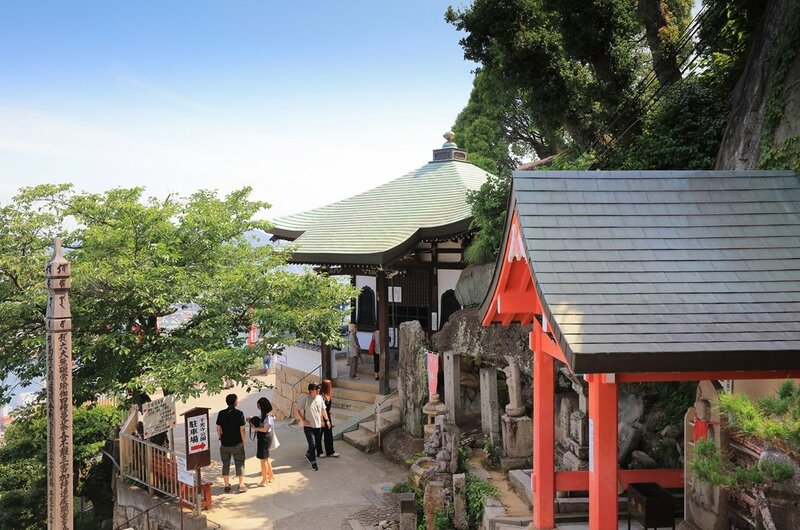 7 A Temple Walking Tour is among the best ways to see the city of Onomichi and its attractions. There are so many temples within a short distance of each other in the city that this tour has become a major tourist attraction. On the specific route which is 2.5 km long, you will get to see twenty-five temples. The length of time spent at each temple will contribute to the length of time the tour will take, but the buildings are spectacular to see. 8 Onomichi is known for being a fishing harbour and therefore it is no surprise that there are many great fishing tours to do here. You can travel by boat to the neighboring islands and fish along the way. 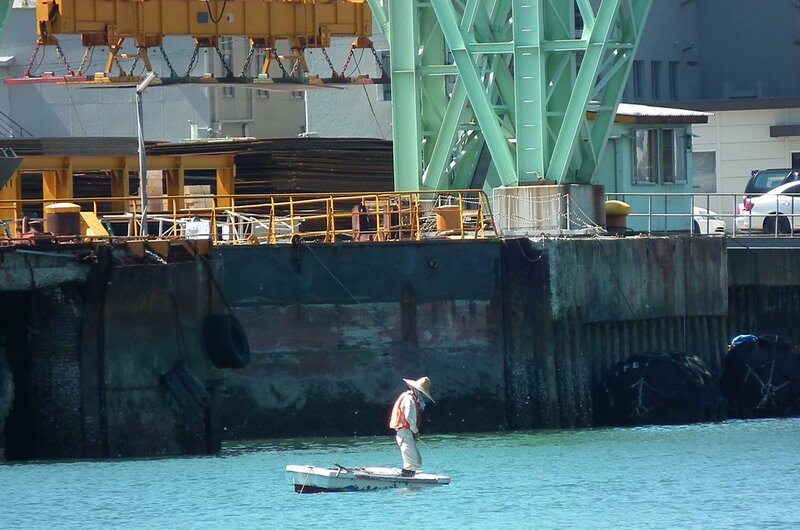 Alternatively, in the early morning and evenings, you can fish along the piers of the city. The tour operators will provide fishing gear and help the amateur angler when needed. A great activity for young and old together. 9 When you are visiting Senko-ji Park, there is a Path of Literature tour to do. There are twenty-five stones along a pathway and each one has poems or inscriptions engraved onto them. Although the writing is in Japanese, there are translations and descriptions in other languages given.The pathway and rocks are very well kept and it is a nice tour to do yourself when in the park. 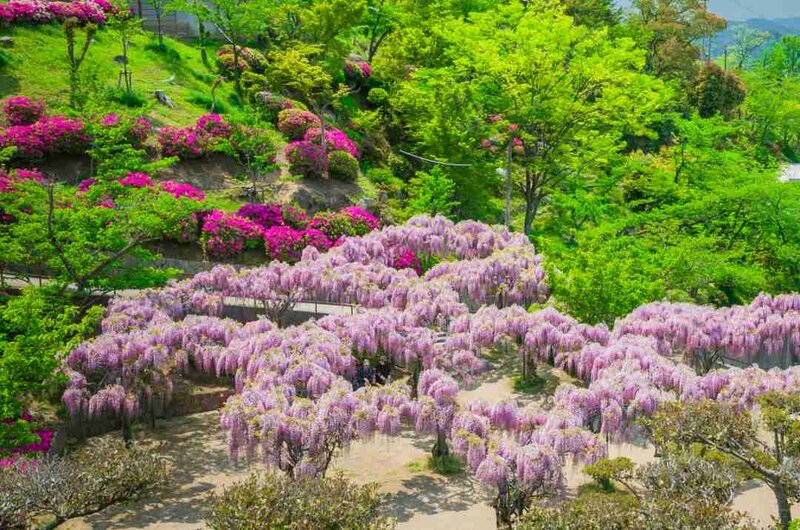 10 Take a sightseeing tour to the Sou raiken Gardens, Refugee garden, which is a part of Onomichi’s cultural heritage and a reminder of the merchant's prosperity in the city. The Tea House is a structure that is rare in Japan and is one of city’s Important Cultural Properties that is modeled on the Myokian-taian. Another pleasurable way to spend a few hours in Onomichi. 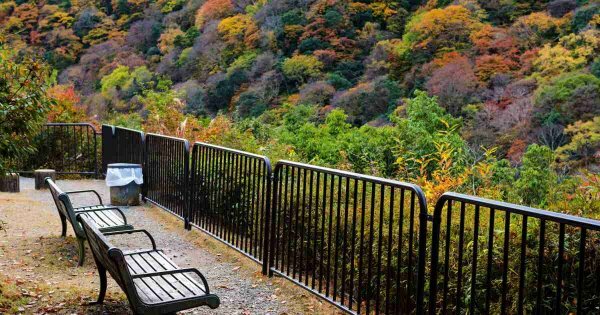 The best time to visit Onomichi especially if you intend to do private cycling tours or walking tours is during the months of April and October. The weather is warm and there is less rain than most of the other months. For tourists who like the heat then July and August are very hot. Onomichi is a place that you can visit at any stage throughout the year as there are lots to do in hot, cold, wet and dry weather. The prices when visiting the city of Onomichi are very reasonable. One night's accommodation in a very good hotel will cost on average US$80 B&B and that will be the most expensive thing you incur here. An excellent 3-course meal for two people with wine can cost as little as US$25. The price of private tours will vary depending on the tour and its duration such as a long private cycling tour or short walking tour. The best advice is to book in advance of traveling all private tours as some tours include discounted accommodation. When going on sightseeing tours to temples, wear clothing that is appropriate and respectful. You are not supposed to tip in Japan and servers will return any tips. Do not walk alone at night, it is recommended to travel in groups of two or more. Be careful of your surroundings when in crowded places. The weather in Onomichi is temperate, warm and wet with a great deal of rainfall throughout the year. The driest month on average is December which still gets some amount of rainfall and the wettest month is July with June a very close second. August is normally the hottest month with average temperatures of 29 degrees Celsius. January is the coldest month with average temperatures of 4 degrees Celsius.